Leading Manufacturer of striped cotton knitted fabrics and plain cotton knitted fabrics from Jaipur. 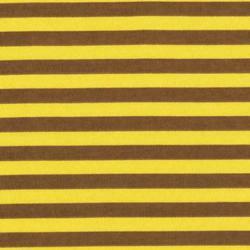 We are engaged in offering our customers with a wide range of Striped Cotton Knitted Fabrics. The customers widely appreciate the quality of the fabrics and use them for manufacturing garments. Some of the key specifications of the fabrics offered by us. 1 We made these Striped Cotton Knitted Fabrics on 12gg computerized flat knitting machines. 2 For these fabrics we used 30 combed cotton grey/dyed yarn. 3 We develop various types of Strips design in the fabric . 4 We can develop the designs as per clients requirements in grey form. 5 Width of these fabrics in between 26-30 inches depends on quality. 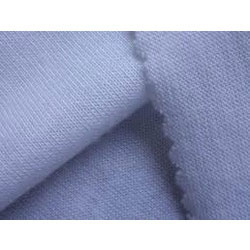 We are one of the widely acclaimed manufacturers and suppliers of Plain Cotton Knitted Fabrics. The offered woolen knitted fabrics are widely used for stitching women apparels such as jackets, tops, blouses, skirts and shirts. Our supplied woolen knitted fabrics are skin friendly, to provide comfort and grace to the wearer. The offered woolen knitted fabrics are highly acclaimed for attractive colors and designs. We made these Plain Cotton Knitted Fabrics on 8gg and 12 gg computerized flatt knitting machines. For these fabrics we used 30 combed cotton gray/dyed yarn. We made plain knitted single bed fabrics,double bed fabrics as per client requirements in grey form. Width of these fabrics depends on their weights and per inch knitts that may be 26-28 inches.